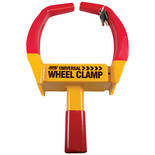 This universal wheel clamp can be easily adjusted to fit tyres from 175mmto 225mm wide. This wheel clampfits most vehicle types i.e. 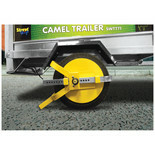 cars, motorcycles, motorhomes, caravans and trailers. 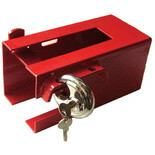 Locks onto the hitch, to prevent trailer/caravan from being towed away. 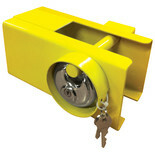 Quality heavy duty tow coupling lock, universal fit. 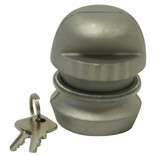 Ideal for most towing coupling applications on caravans, trailers etc. 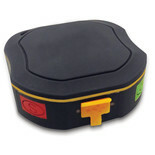 Great small deterent. Simply inserts into hitch. 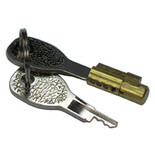 Remove key for added security whilst towing and when trailer un hitched. 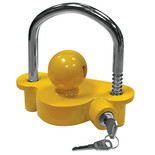 Insertable Hitch Coupling Lock. 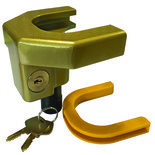 Inserts & locks into the hitch, prevents trailer/caravan from being towed.